In the past fifteen years, the Los Angeles Kings have drafted many key components to add to their team which has helped them win two Stanley Cups. Players like Drew Doughty, Anze Kopitar, Jonathan Quick,Tyler Toffoli and Dustin Brown were all drafted by the Kings in this time frame. The Kings have had success finding talent in recent drafts. Some of these draft picks were able to crack the team’s lineup right away, but this hasn’t always been the case. There have been many draft picks that didn’t pan out or fit into future plans for the Kings. These five players were drafted by the Kings, but found success with other NHL clubs. Drafted 61st overall in 2007 by the Kings, Wayne Simmonds had three average seasons in Los Angeles from 2008-2011. Then, in the summer of 2011, Simmonds was involved in a blockbuster trade – he was sent to Philadelphia along with center Brayden Schenn and a future second-round draft pick. In return, forwards Mike Richards and Rob Bordson ended up in Los Angeles. After this trade, Simmonds soon became the heart and soul of the Flyers. 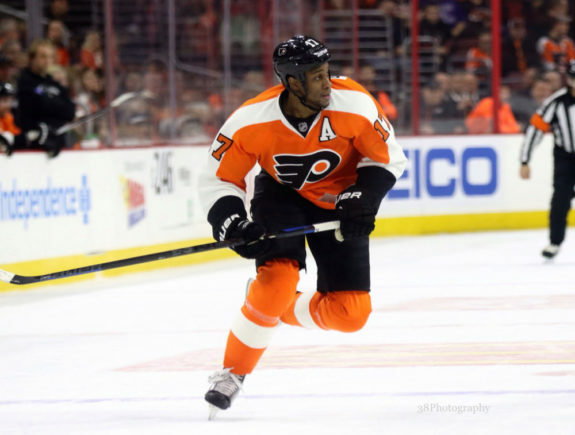 In the seven years since the trade, Simmonds has 187 goals and 164 assists while playing in 522 games. Simmonds is the alternate captain in Philly and has come a long way since his days in L.A. 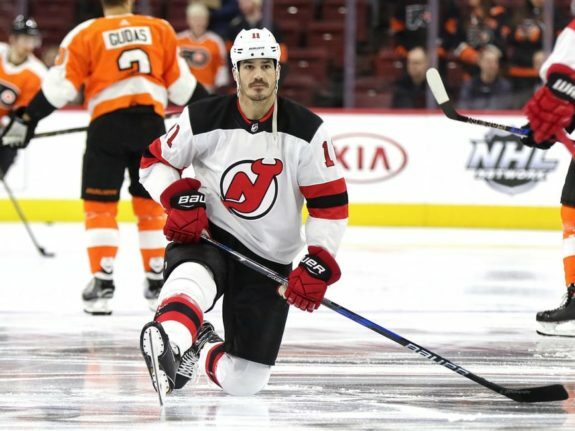 Drafted by the Kings in the first round in 2003, center Brian Boyle has had a lengthy career in the NHL. His first two seasons in the league were with the Kings and didn’t go too well. Boyle spent most of these two seasons with the Kings AHL affiliate at the time the Manchester Monarchs. Playing in only 36 games with the Kings in those two seasons, Boyle was soon dealt to the New York Rangers for a third-round draft pick in 2010. Since his time in LA, Boyle has played in 111 playoff games. 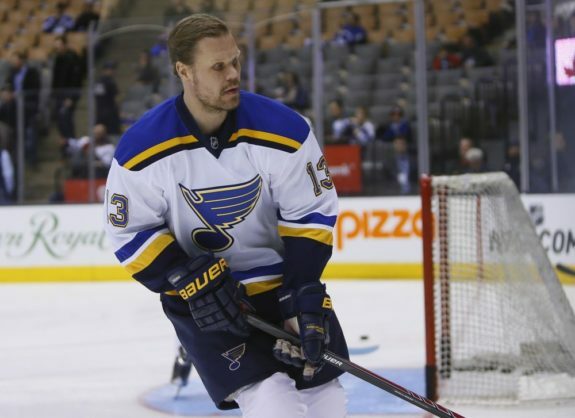 Despite being diagnosed with leukemia last fall, he was able to make a return to the NHL and is a finalist for the Bill Masterton Memorial Trophy. After playing in a total of 74 games in two seasons, the Kings traded their 1997 first round pick Olli Jokinen to the New York Islanders. This huge deal brought Ziggy Palffy and others from the Islanders to L.A. At the time of the trade, Jokinen was only 20 years old, and he went on to play 1,231 games, with his best years coming as a Florida Panther. In his seven years with the Panthers, Jokinen had 188 goals and 231 assists totaling 419 points. Jokinen struggled early on while playing for the Kings, but was able to flourish in Sunrise after being traded from L.A. The 2017-18 season was good to Brayden Schenn. In his first season with St. Louis, Schenn played in all 82 regular season games and led the Blues in points with 70. Schenn really came into his own as a Philadelphia Flyer when he was traded from the Kings along with Wayne Simmonds in 2011. From 2009 to 2011, Schenn only played in a total of nine games for LA. Most of his time during these years was spent back in junior playing for the Brandon Wheat Kings and the Saskatoon Blades. 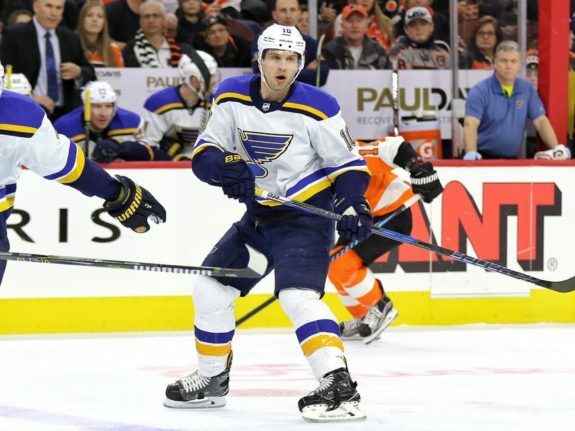 The Blues and Schenn hope to be back in the playoffs after narrowly missing them this past season. Czech Republic native Robert Lang had an excellent NHL career, playing in 989 regular season games. Unfortunately for the Kings, Lang’s best years were spent in other NHL cities. His career took off in 1997 after signing with the Pittsburgh Penguins. Lang played on some great teams throughout his time in the league but he was unable to get a Stanley Cup ring. He did win a gold medal for his country in the 1998 Olympics, defeating Russia in the gold medal game. Lang racked up 703 points in his NHL career and only 58 of those points came while playing for the Kings.